When I was in college, there was a Thai noodle restaurant right beside campus. The name was Tomy Thai and the food was amazing. Of course, I haven’t been there in years but I assume the food is just as good as it used to be. My go-to order was either the Drunken Noodles or the Chicken Pad Thai. Both never failed to impress. The Drunken Noodles always had a spicier flavor, while the Pad Thai was sweeter and more savory. Over the years, I have begun to enjoy spicier foods more than I used to. Thai food has a wonderful flavor profile. It’s similar, yet different to that of Chinese or Japanese food. As a general rule, it seems as though most Thai food contains more spice (if nothing else, “heat”) than either of the other two. For me, at least, this is perfectly alright. Shirataki noodles, more commonly referred to as Miracle Noodles (the largest shirataki noodle brand), are made from the konjac plant. These noodles have been eaten in Japan for hundreds of years. 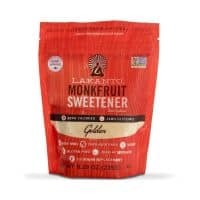 They are great for low-carb/keto diets because they are basically carb-free. 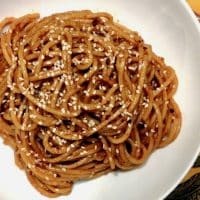 When you make these keto Thai spicy noodles, you will want to let the noodles cook some in the liquid ingredients so they can “crisp” slightly. They won’t turn hard or anything, but the oil will help the flavors impart themselves on the noodles. Unlike regular noodles, these noodles won’t soak up as much of the liquids as they cook. 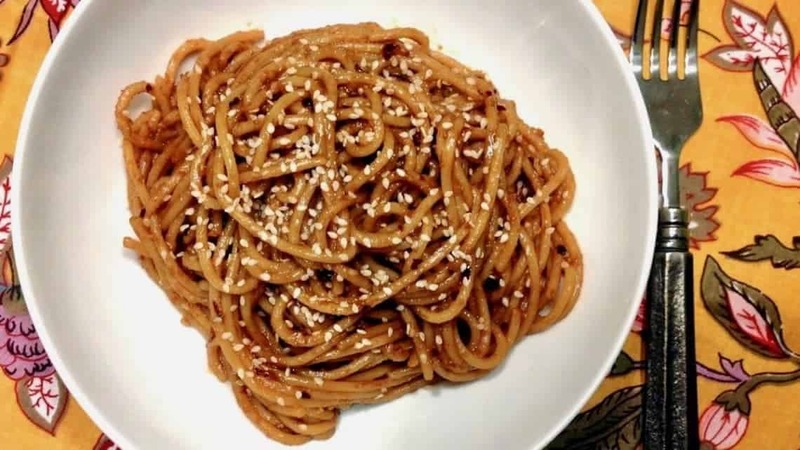 If you like Asian food (and you sure as heck know I do) you will love these noodles. 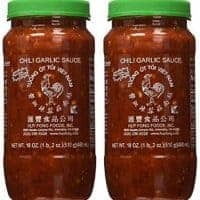 You can easily adjust the heat in either direction by using more or less of the garlic chili sauce. 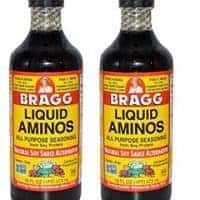 I also just call the sauce the best sauce ever. Remove from heat, plate, and eat up! How did you calculate the calories? 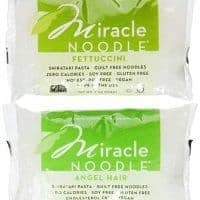 I thought Miracle Noodles were zero calories. You are correct. However, the calories in this recipe come from the oils (sesame and olive) and the chili garlic sauce. Sesame oil alone is 120 calories per tablespoon.